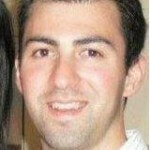 Full Tilt Poker which is currently the 5th largest site in the world will be giving 100 players the chance to play Viktor “Isildur1” Blom heads up for free. 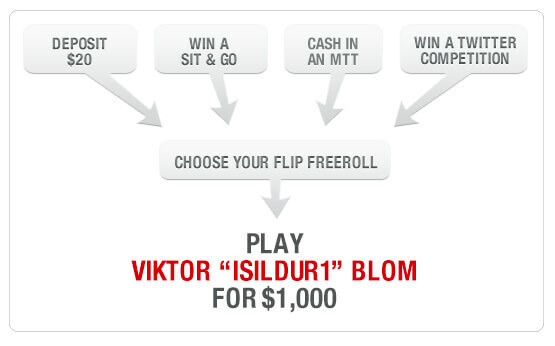 Blom 100 will see Viktor put up $100,000 of his own money by giving 10 players the ability to win $1,000 each for every day of the Blom 100 promotion. The Blom 100 Flip Freeroll tournmanet will take place each day starting October 26th to November 4th which will give the winner the ability to go heads up against the poker superstar for the $1,000. Viktor “Isildur1” Blom had the following to say about the Blom 100 promotion. I’m putting up my own money for this because I like to challenge myself. It will be fun to see how many matches I win in the end. I want to win them all – that would be sick! Starting on October the 25th , players will be able to start earning up to four freeroll tickets a day. Players can earn the tickets by depositing $20 or more or by winning a Sit & Go tournament which has more than 6 players entering. Additional way to earn the tickets are by cashing in on any multi-table tournament or by winning one of 50 tickets that will be given away as a daily Twitter competition. Players who want to take part in the Twitter competition will need to search for #Blom100 on Twitter and also follow @FullTiltPoker. If a player loses heads-up to Blom they will still get a ticket to the Blom 100 $5,000 Freeroll which will be taking place at 14:00 ET on November the 10th.